The Kids Nordic Jacket from Jack Wolfskin was made to keep junior adventurers, little mountain goats and forest explorers warm and cosy. 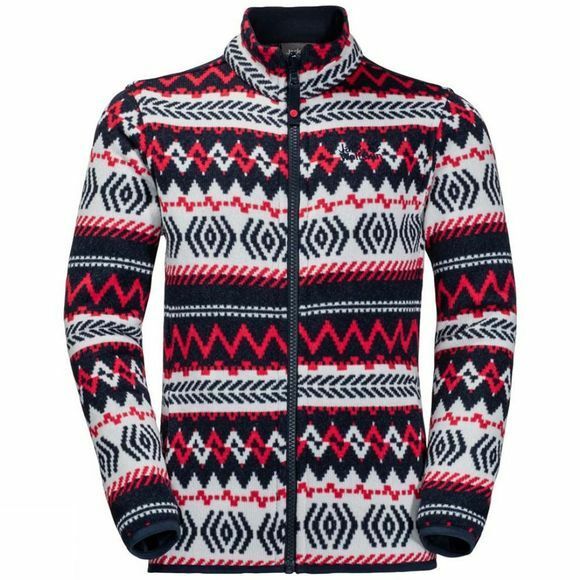 This is a great little jacket for hiking or ski touring–and general adventuring duties, of course.Our tried and tested Nanuk 300 fleece provides effective insulation and has an extra soft reverse side for superb next-to-skin comfort. And the sleeves are lined with smooth Taffeta fabric so the jacket is easier to slip on and off.